Yorkshire pudding is such a delight to have in the kitchen. First, it is one of the simplest food you can make, yet it taste no less awesome. Second, if you drizzled the puddings with some brown sauce, it makes a good sidekick beside good ol steak. Can't finish the pudding? Store them into the freezer for up to a month, they make pretty desserts with some ice cream and honey too. 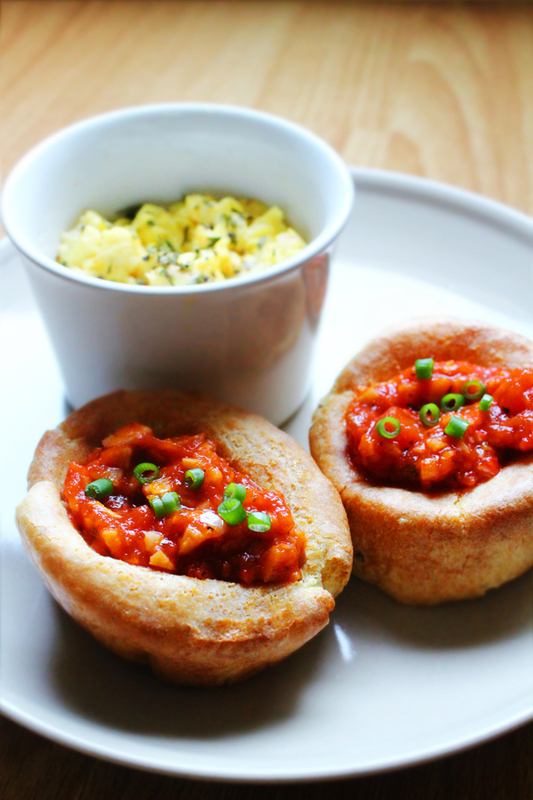 For mine, I paired the lovely puddings with homemade marinara sauce (recipe will be up soon) and a serving of scrambled eggs for a quick and easy weekday brunch. There's a third reason to why the pudding is such a delight, but well.. you just got to make them to find out. As a center of the exotic Peranakan culture, Malacca is well known for the small - and unfortunately diminishing - Babas (men) and Nyonyas (women) community. For Singaporeans, I am sure you got to catch a glimpse of the Peranakan society, such as what they do, eat and wear, in the 2008 hit drama series titled "The Little Nyonya" or better known in Mandarin as 小娘惹. 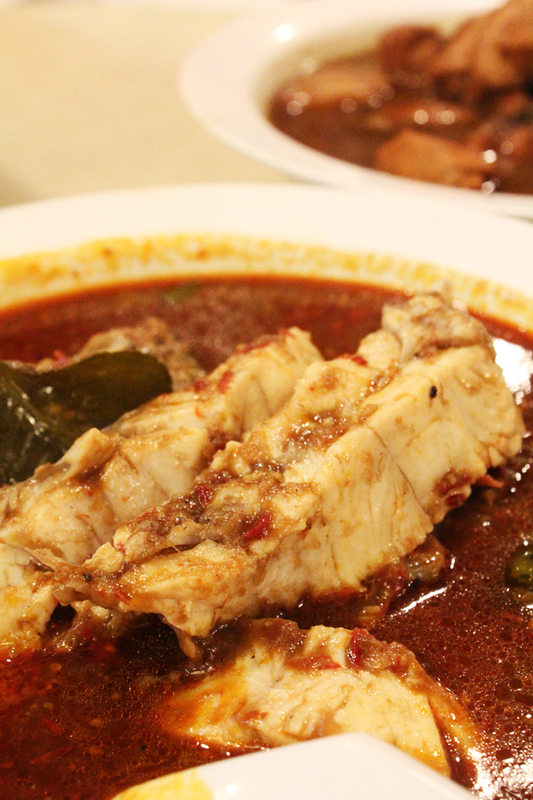 Therefore, it's true to say that one haven't been to Malacca, until one try out their traditional Nyonya cuisine. Located at the streets of Taman Melaka Raya (a few minutes drive from central), Ole Sayang is probably one of the most established Nyonya restaurant in Melaka. Being said that, reservations are highly recommended, as we waited approximately 30 minutes for a table of ten. One of the reasons being the restaurant has shifted from a quiet residential makan place to a popular tourist trapattraction, with tour groups from all over the world and the other states of Malaya hoarding several tables during the lunch/dinner timings. After a fun, fulfilling day exploring Sentosa's newest attraction - Adventure Cove, as well as S.E.A Aquarium which features the world's largest aquarium, one is definitely expected to be hungry. If not, your stomach would probably tell you otherwise. With a humble beginning as a Dallas burger joint, Chilli's has seen developed and expanded with restaurants situated all around the globe. Despite having four outlets nestled at major shopping malls locally, it was actually my first time having Chilli's, partially because of the huge quantity of negative reviews about both their food and services. However, since the birthday girl has made the choice, I went on with it. I am sure my avid readers would know that I don't usually start reviewing on desserts, but when I do, it means that it is real good. And that is the case for Chilli's Molten Chocolate Cake (S$15) - a huge, satisfying classic French dessert topped with chocolate-encased vanilla ice cream. I am sure everyone knows what is the best part - warm chocolate fudge flowing out gently. So much so that Todd Wilbur, an American cookook author decides that this is worth "cloning" into his bestseller titled "Top Secret Recipe". 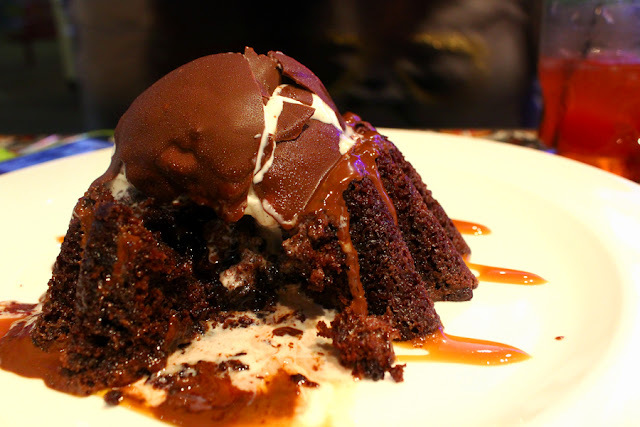 If you are a molten chocolate cake lava, be sure not to miss out this. In the early 16th century (1511 - 1641), the straits of Malacca was widely colonised by the Portugese empire during the struggles between super powers. 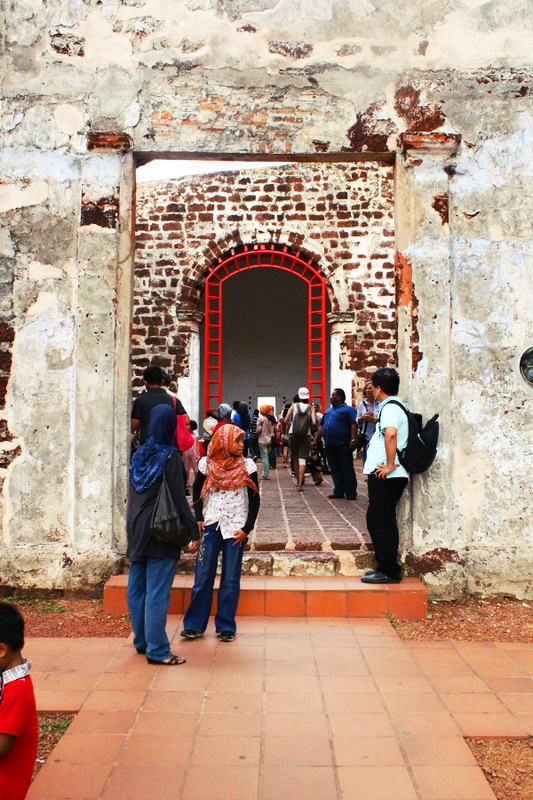 As a mean to maintain its colonial foothold in Melaka, a fort was designed and erected encompassing St Paul's Hill. The fort served not only as a housing and meeting place for the Portugese officials, but also an important vantage point, strategically overlooking the rivers. Following a seven-month attack by the Dutch, the fort was mostly destroyed and what remained is the entrance facade and ruins of the church. Today, hundreds and thousands of travellers from all over the world visit the ruins of the what-used-to-be a majestic and powerful Portugese fort. Just be warned though, the ascend of St Paul's Hill via a series of steeply-inclined stairway is not for the faint-hearted. Rocky Road is such a handy snack in-between meals, it's not exactly healthy but it doesn't hurt to snack on one of this chocolatety babies once in a while. With it's rich chocolate, crunchy contents and everyone's favourite mini-marshmellows, this is a winner for both the young and old. I've not even mentioned the best part yet, this is a no-bake, which means that you won't be using your oven. And and! 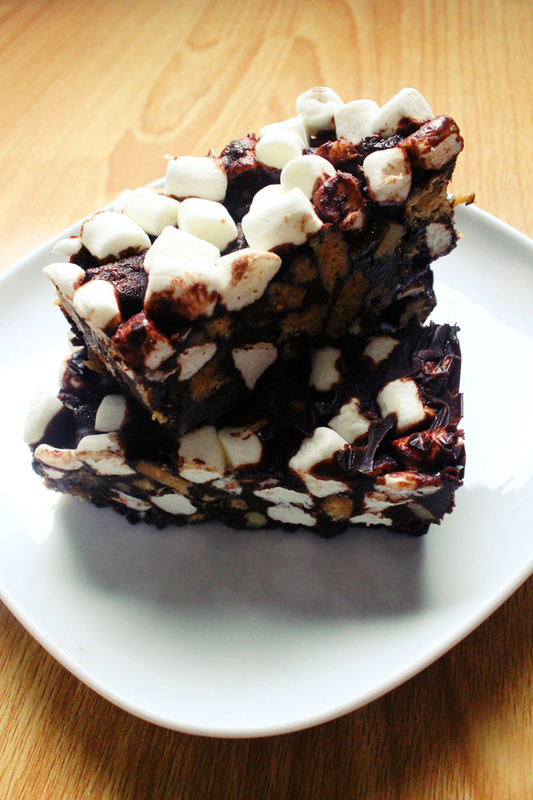 This rocky road is built to impress, meaning anyone could make it, even with the least amount of knowledge about baking (probably just doing some melting and mixing)! 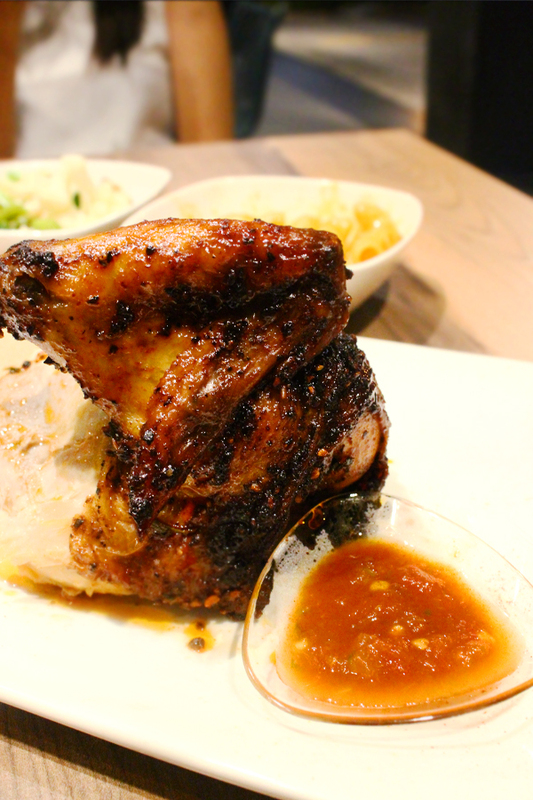 The recent addition of Poulet to Bugis+ (formerly known as Illuma) was a welcoming one, with long queues expected during lunch and dinner hours. 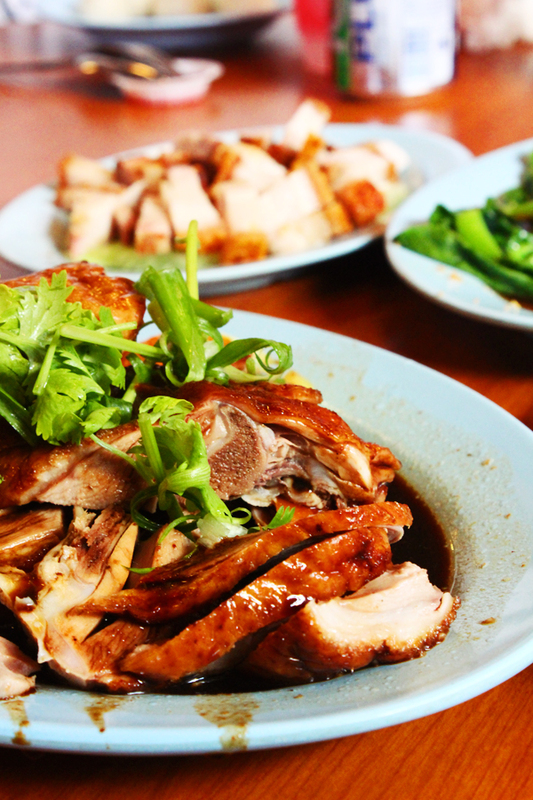 Under the Thai Express Group which houses several household brands such as Xin Wang, New York New York and Kiseki, Poulet is a contemporary French-themed bistro which offers casual dining at much affordable prices. 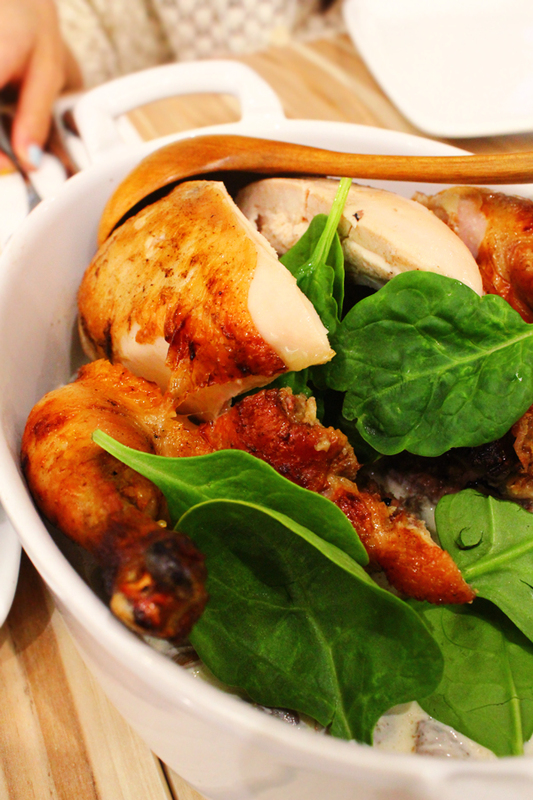 Nestled at the mall's fourth floor, Poulet features a 60-seat open dining area inspired by modern alfresco setting in France, furnished with classic wooden tables and chairs. Diners can also catch the chefs in action through the open kitchen. On their 2-page menu, expect to find a variety of appetisers, main courses such as Braise de Carnard and Oxtail de Bourguignon ($15.80), as well as classic French desserts. And of course, as the name itself suggests, Poulet Roti (roast chicken) is their star dish, which well, makes it a must try for starters. During my recent trip to Malacca, one of the few food that was introduced to me was the legendary Chicken Rice Ball, among the gula-packed chendol and famous nyonya dishes. Located along the streets of Jalan Bendahara, a half-hour drive from the central, Formosa boasts itself with its famous chicken rice ball made with a team of experienced staff in food and restaurant management, as well as being integrated as part of a journey into the Historical City of Malacca. Is it worth the big hoo-ha and the long queue, or is it simply just over-rated? 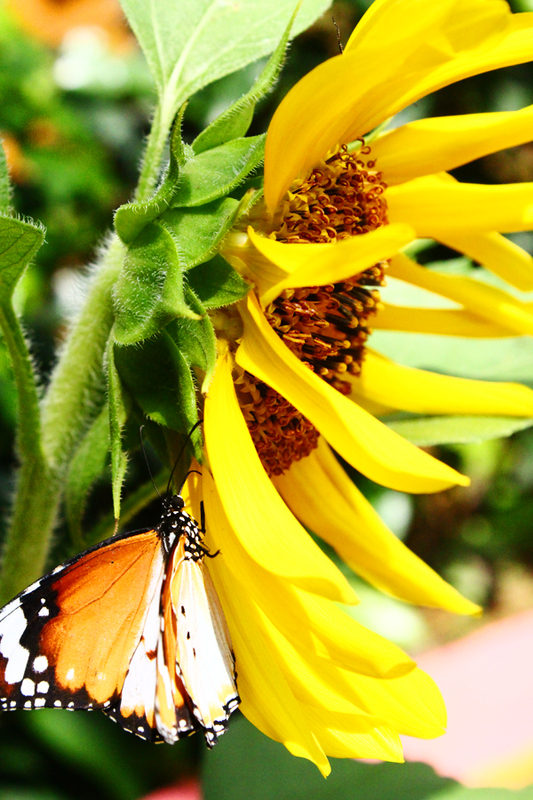 Officially opened in February 1991, the Malacca Butterfly & Reptile Sanctuary is a popular tourist attraction located in Ayer Keroh, 15km away from Malacca Central. Also known as Tama Rama Rama, the sanctuary is home to more than hundreds of species of insects and reptiles, ranging from beautiful butterflies to birds, koi fishes, creepy crawlies and reptiles, such as crocodiles, tortoises and lizards. Located at the basement of Orchard Central, Medz is a concept similar to Marche, where diners were given at the entrance - a cash-card which records the food you bought, and at the end, pay for everything together. 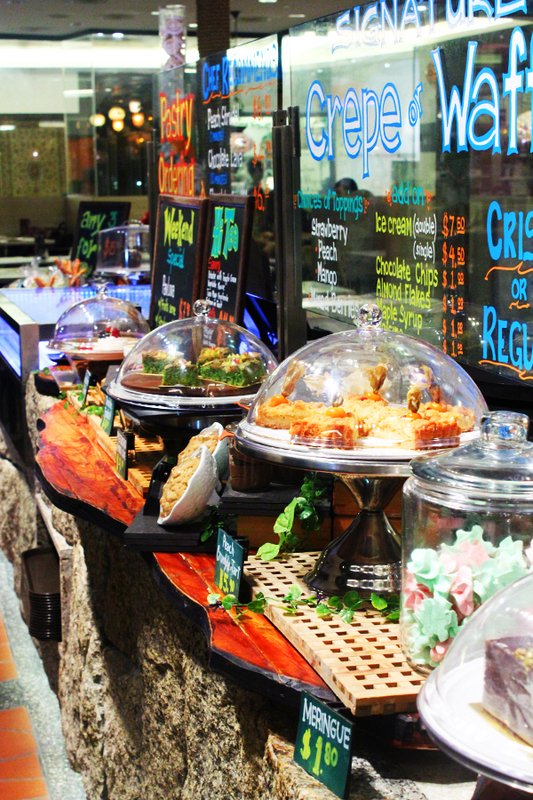 The difference is probably the food they served, while Marche focuses solely on Swiss affair, Medz serves a variety of Mediterranean fare – such as Spanish, Moroccan, French, Turkish and Greek at distinct booths in the brightly, decorated restaurant. 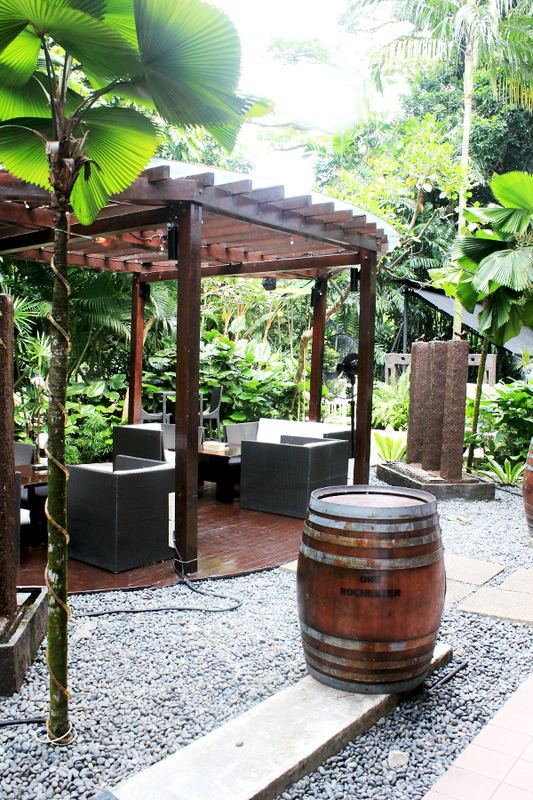 For both wine and caffeine connoiseur, you will be pleased to see an impressive display of wine collection, as well as a specialised beverage booth where the barristas craft your beverage with meticlous hands and utmost precision. 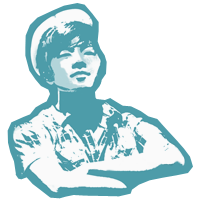 As an avid globetrotter and food enthusiast, the owner nicknamed none other than Charly, embarked on an adventurous journey across the continents while gathering innovative food ideas and concepts. Located at NOMU and the recent opening of PasarBella (Turf Club)'s and I12 Katong's outlets, Charly T's is yet, a medium to share his inspiration to the masses through food. It was a last minute decision to have our dinner at Charly T's, as the Groupon voucher that I bought ages ago expired on that day. I was quite reluctant as it was nowhere near my place, however the journey time from Dhoby Ghaut to Charly T's is no more than a 5-minute stroll. Thank God, I didn't really want to waste the $40 worth of vouchers anyway. 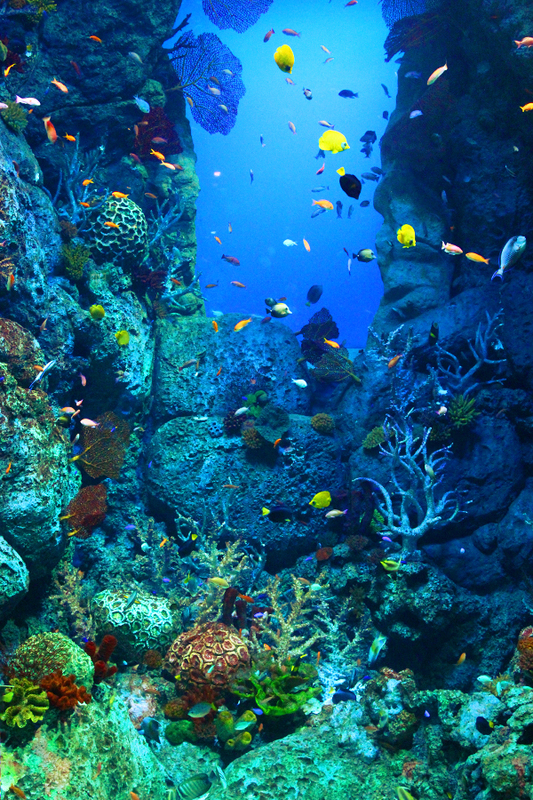 Instead of doing the weekend routine, which probably differs no less than watching movies, shopping or even staying at home, why not make a trip down to Sentosa's newest attraction to experience the world's largest aquarium. Home to more than 100,000 marine animals of over 800 species in a whopping 45 million liters of water, some of its residents include the majestic manta rays, moray eels, hammerhead sharks and the controversial Indo-Pacific bottlenose dolphins, and yes, animal rights activists has made quite a big fuss on this particular issue. Located amidst the tranquil of Rochester Park, 1 Caramel which is opened by the 1 Rochester Group is a place not to be missed if you are an avid brunch or dessert lover. Surrounded in the lush greeneries, there is an option for al-fresco dining, but since it was a hot Monday afternoon, I figured out that the cosy, air-conditioned indoors was a better choice for us. But again, I bet that outdoors are perfect for a weekend buddies night-out, or perhaps, savouring a meal with the accompany of live music.